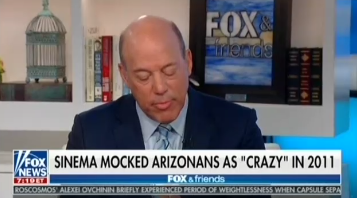 Conservative media used an out-of-context video to falsely claim that Senate candidate Rep. Kyrsten Sinema (D-AZ) called all Arizonans "crazy." As local journalists explained, the full context of her remarks shows that Sinema was clearly referring only to Republican lawmakers in Arizona who were promoting extremist legislation, such as the state’s racially discriminatory SB 1070  "papers please" law. This smear originated with an October 11 tweet from the Twitter account “The Reagan Battalion,” described by  The Associated Press as “an anonymous conservative group,” which published a 65 second-long video with clear edits at the 23 and 30 second marks, stripping Sinema's remarks of necessary context. 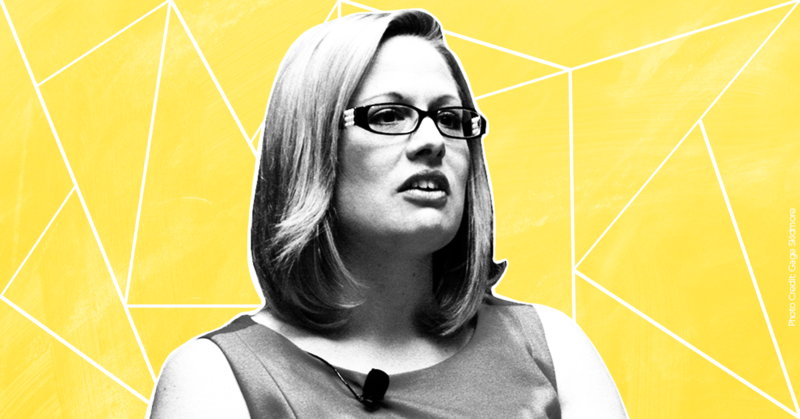 According to the tweet, Sinema mocked “Arizonans as 'Crazy' and calls Arizona the 'crazy' state." As of 11 a.m. EDT today, that crudely edited video had roughly 240,000 views. The Reagan Battalion later posted  a full 5 minute 23 second version on its YouTube account, suggesting it had the full context all along. The original, uncut video had only 3,129 views as of 11 a.m.
Fox News host Sean Hannity ran with this false framing, citing The Reagan Battalion and saying the video showed Sinema "calling Arizonans, the people she wants to vote for her, crazy." In 2011, the year of Sinema’s remarks, Republicans at the Arizona Capitol had introduced other legislation targeting undocumented immigrants. One bill would have required hospitals to check a person’s legal status and notify law enforcement if they suspected the person was in the United States illegally. Another would have banned illegal immigrants from going to state universities and community colleges, and from getting federal benefits. A third targeted the issue of birthright citizenship. All of the bills failed. Russell Pearce, who was singled out in Sinema’s remarks and authored the SB 1070 legislation, was forced into a recall election over the bill and lost to another Republican  the year after it was signed into law.